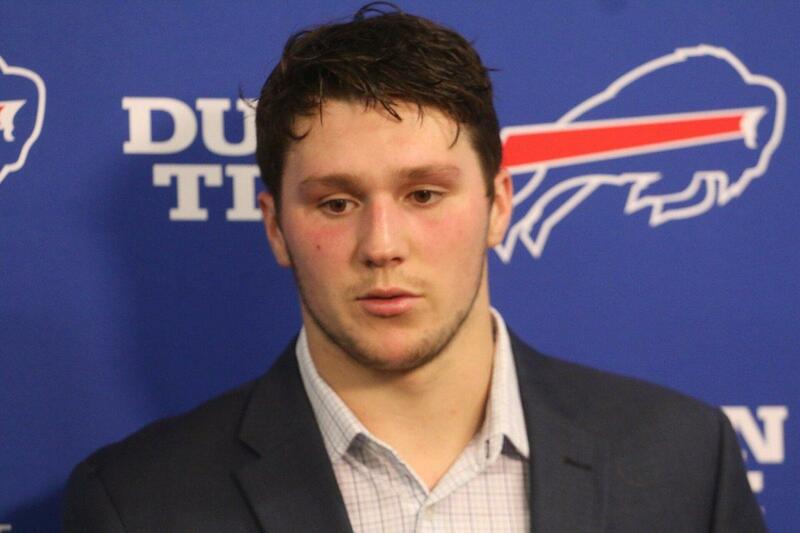 QB Josh Allen: “This one hurts because we were one play away from winning. I had missed opportunities on my end and I have to clean those up. With the Buffalo Bills finishing their 46th season at their stadium home in Orchard Park, a look to the future was inevitable. The organization started the process earlier this week by announcing it was launching a study to examine stadium needs and options. During WBFO's Beyond the Playbook, analyst Matt Sabuda offered a sketch of what is likely to come: a community conversation over the costs and benefits of being home to the NFL franchise for the foreseeable future. In his return to his starting role, rookie quarterback Josh Allen helped the Buffalo Bills to a 24-21 win over the Jacksonville Jaguars Sunday afternoon. His big plays--a long touchdown pass and a rugged scramble for a touchdown--were important elements in the win, says analyst Matt Sabuda. Also key was a fight which broke out late in the third quarter. As Sabuda points out, the scuffle prompted the ejection of the Jaguars' top player Leonard Fournette and fired up the fans at New Era Field, making for a memorable victory.